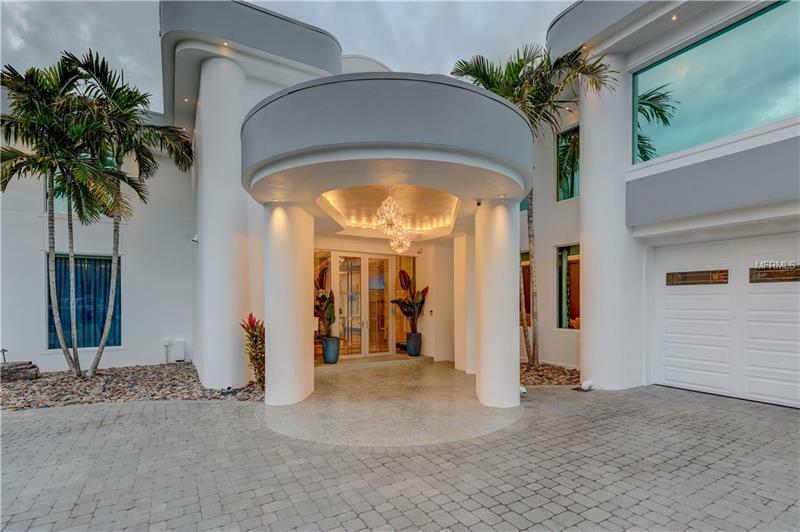 A timeless soft contemporary residence encompassing 11000+ sq feet with unobstructed Clearwater Harbor views that open to the Gulf of Mexico. 3 levels of tastemakers finishes that are beyond reproach. 2 pools 2 hot tubs tennis court boat slip with lift fishing at the end of dock. Additional gate to gated community 5 car space garage gym attached central vac power doors power hurricane shutters sound studio 2 kitchens 7 full baths 2 half baths 2 laundry rooms elevator 7 bedrooms office formal dining formal living theatre room family room billiard room wine room tennis community picnic area etc.